UEFP has another installment in our Personal Training Before and After series. Before and after pictures always help give a visual to a good success story. We hope that these results can help motivate those who may need just a little bit of a kickstart today. We know that getting in shape can be tough, so if you’re looking for some support and guidance, feel free to contact us. Brenna is a personal trainer’s dream client: she loves training and has a desire to learn new things. I remember asking her if she wanted to learn the Olympic lifts and I don’t think I was even able to finish the question before she gave me a stern yes. No matter what you throw at Brenna, she gives it 100% with a smile on her face…..along with some sweat. Heavy deadlifts – check. High rep squats – check. Kettlebell swings paired with burpees – check. Brenna’s only problem was a lack of direction. This is where most clients tend to suffer. Like Brenna, they have a desire to work hard along with a good foundation of strength and fitness. However, they don’t know how to couple that into a progressive program. It’s one thing to have a great workout but it’s another to program training sessions and reach specific results. That’s all we did with Brenna. We took her out of her comfort zone and challenged her with a nasty circuit of back squats, chin ups, presses and different pulls. We also had to tailor a conditioning program with specific types of sprints. Brenna hit the track, and she hit it hard. Her conditioning improved to the point where she had dropped 5 pounds after only two weeks of training. If you’re looking to drop bodyfat, always choose exercises that you’re not good at. Diet was another thing we had to fine tune. Her water intake had to increase and we also had to cut down on some simple sugars. Lastly, we had to up her protein intake; Brenna was taking in a very small amount of protein. 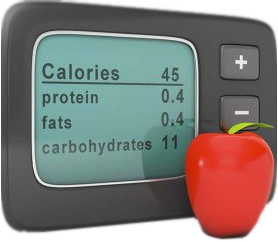 Research tells us that there is a certain threshold of protein intake that is needed for fat loss to occur. Lastly, we added a veggie of choice per meal. However, we also had to give Brenna a day to let her hair down. She picked one day a week in which she ate what she wanted. It didn’t matter if she ordered some carry out or made some sweets – the only caveat was that she had to chew slow and stop when she was 80% full. Throughout the process, Brenna did an excellent job of communicating and having a say-so in what she did. I always encourage clients to communicate as much as possible so we make sure we’re always on the same page. That’s Brenna’s story. We hope this success story can help you achieve your own before and after weight loss story. What’s Wrecking Your Motivation to Exercise?